Satoko Suki Harada | SAS Language Associates, LLC.SAS Language Associates, LLC. Satoko “Suki” Harada is a true bilingual. Born in Kyoto, Japan, Suki spent her early childhood in Chicago attending both public school and Japanese language school. Having both languages and cultures as a part of her everyday life formed the foundation as a true bilingual capable of reading, writing, and speaking fluently in both languages at a native level. Suki has always had a passion for community service and public interest work. While in Japan, she organized a volunteer youth group to help support those affected by the Great Kobe Earthquake. While completing her undergraduate studies in Buffalo, New York, she worked as a Community Educator, providing HIV/AIDS education in colleges and community centers, and also worked as a certified HIV testing counselor. Suki majored in English at Buffalo State College. Upon graduation, she worked for Hodgson Russ, LLP as a legal secretary, assisting attorneys in the Corporate and Securities Practice with a focus on commercial real estate. Suki also worked in Japan as a freelance translator, providing Japanese-English translations of business transactions, correspondence, and several Japanese publications. Suki’s strong interest in both language and law led her to the University of Baltimore School of Law. During law school, she worked as an intern for the Hon. Judge John N. Prevas of the Baltimore City Circuit Court, and was a law clerk for the Baltimore City Law Department. She served as the Vice President of the Executive Board for the Moot Court Program, and as a Recent Development Editor for the University of Baltimore Law Forum. During her final semester, she was a Rule 16 student attorney for the Immigrant Rights Law Clinic and successfully represented her client in seeking asylum before the Immigration Court in Baltimore. Suki’s strong interest is in antitrust litigation cases, specifically those involving Japanese corporations. 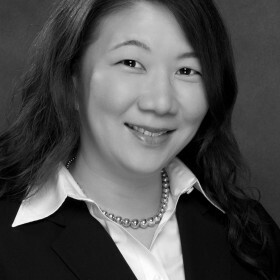 She has worked on several cases involving large Japanese corporations in the automobile parts industry, where she has provided comprehensive services ranging from evidence review to translation and verification of key documents, and interpretation during attorney-client meetings, witness preparation and government interviews. Suki is admitted to practice law in the state of Maryland.